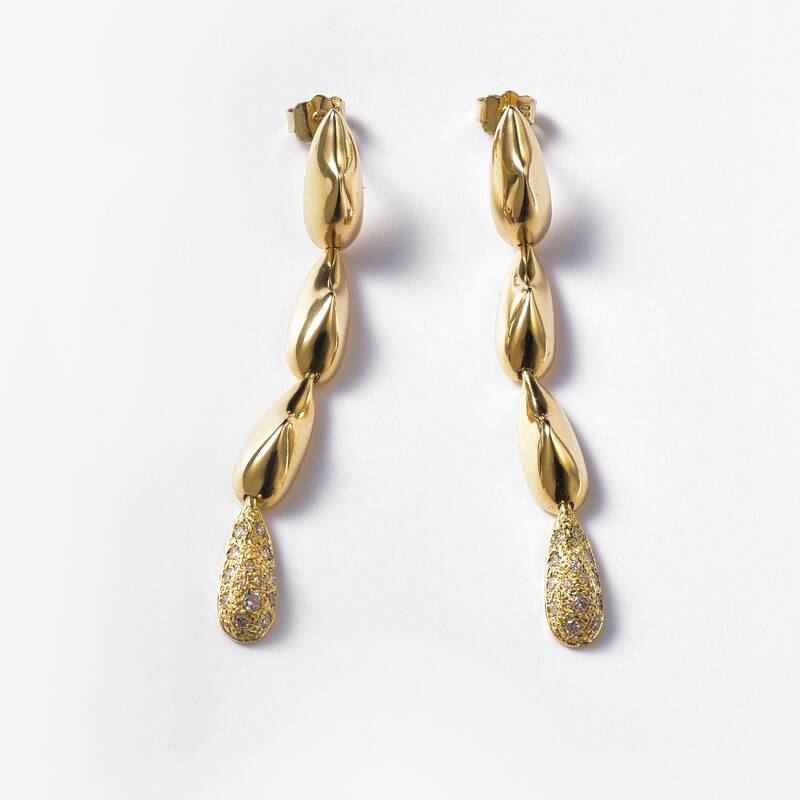 The Spiked Drop dangle earrings are crafted in 18k yellow gold, hallmarked in Cyprus. 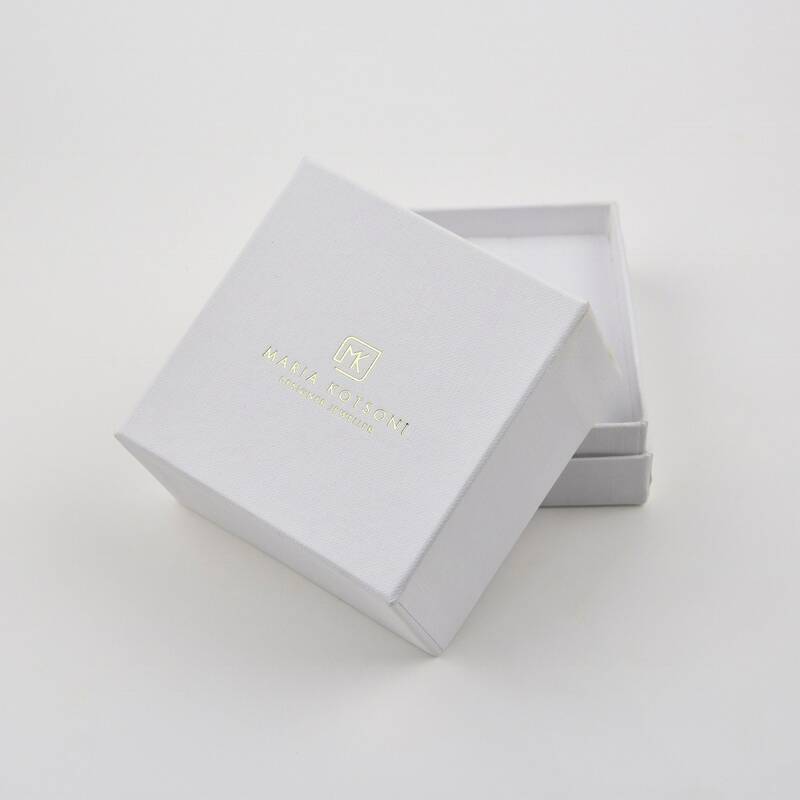 These ultra feminine dangle earrings, come in a highly polished finish and feature a total of 0,38 ct. Diamonds. They feel very comfortable to wear and move playfully to complete an elegant outfit. 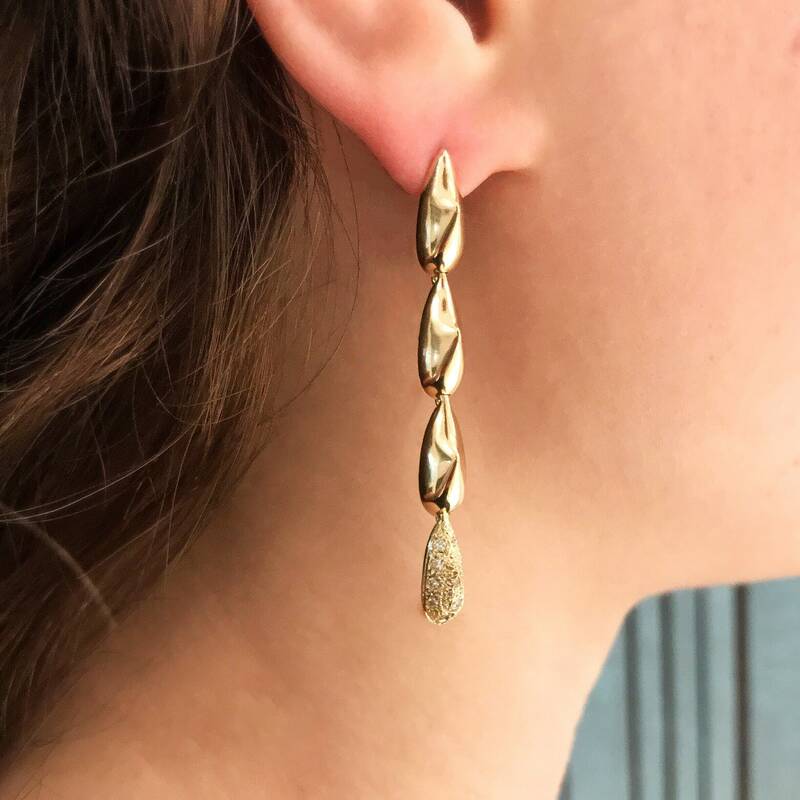 The Spiked Drop dangle earrings are part of the designer’s latest collection ‘Spiked’ that focuses on the Spike as an ancestral element and it’s use as an accessory for the protection of the most delicate life forms and the aversion of potential threats.